NEW! Frozen Food and Temperature Controlled short and long-term storage. Frozen Food and Temperature Controlled Rework Facility. Are you selling on line? Let us pick and pack your orders for you. Let us streamline your E-Commerce process AND save you and your customers time and money! We provide solutions that work. Miss your delivery time? Leave your load with us! We can re-deliver it at the appointed time. We provide fast, efficient, economical re-working of shifted loads, re-stacking, reloading and shrink-wrapping. Let us get your driver on his way!!! No more having your driver “stuck” overnight or over the weekend. We’ve got the solution. Send your product (or containers) direct from your manufacturing facility — or from the port to us. Let us check it in, store it, pull your orders, create invoices and packing lists, run credit cards, and ship your product direct to your customer. By letting us link directly to your shopping cart, or pulling orders from several websites, we can automate the order fulfilling process, which lowers costs, reduces fraud, saves time, and increases accuracy. No more late nights and weekends pulling and picking orders. No more dealing with part-time employees. No more storing and moving product in and out of storage units, garages, basements or back bedrooms. Let us do it. Our quantity discounts with UPS, FEDEX and other major carriers, means we can ship worldwide for less than you can! And because we buy packaging materials in bulk, and pass those discounts on to you, you also save on those costs. Call us. Whether you are shipping a single small item to a retail customer…or pallets of product to wholesale accounts (B2B), in the U.S. or abroad, we can do it. Are you importing from China? Call us for special rates on shipments leaving Hong Kong, Yantian (Shenzhen Port), Shanghai and Ningbo. We have all inclusive “flat” rates (based on cbm) from those ports across the ocean then inland direct to our warehouse here in Salt Lake City!!! We are known for having the best rates in the city. We provide fast, efficient, economical services that you will be surprised at how cost effective we can be. Frozen Food & Temperature Controlled Storage & Rework Facility. As a food grade warehouse, with customers supplying Costco, Associated Foods, Western Family Brands, and Smith’s etc. We also serve the sports/fitness and nutrition industries, essential oils and freeze dried food markets. Helping businesses grow is our specialty! Is your “home-based” business “out growing” your home? Are your Internet sales taking too much of your time? Are you spending too many late nights and weekends packaging and shipping orders? Is your product over running your garage, basement and spare bedroom? We can help. 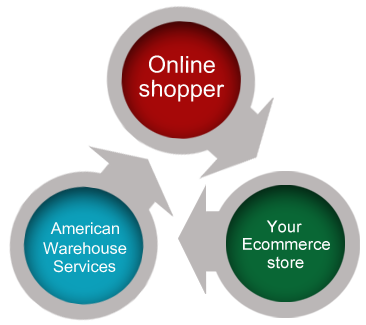 We at American Warehouse Services understand your situation. Let us help you reclaim your garage! Let us store your product for you… Whether you’re making it here in the U.S. – or overseas – you can ship it directly to us. We’ll unload it, count it, inventory it, and keep it safe in our beautiful, clean warehouse facility. Our low monthly pallet storage rate means you can probably store your product with us for less than keeping it at home–or in a storage unit. And, you are only paying for the space your product occupies. 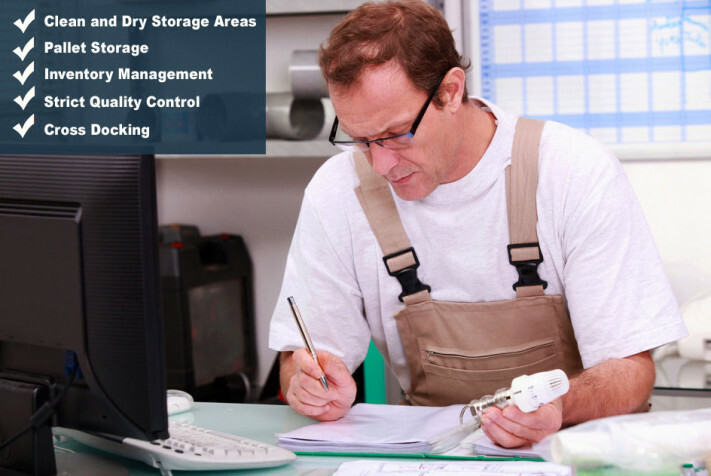 That means your storage charges increase and decrease through the year based on your inventory. If your sales are seasonal…you can bring in as much as you want, and as your inventory declines, so do your storage charges. No more paying for empty space in a storage unit. Are you selling over the Internet? We can capture your orders straight from your website, or receive them by fax, email, text or phone. We provide individualized customer service. Do you have a telephone number listed on your website? Do you get customers calling to place orders on your cell phone? You can forward your calls to us. We will answer in your company’s name, answer questions, and take the order. We will pull, pack, and ship orders for you and, if you want, include your invoices, packing lists, or other documentation with the order. Do you require “prepayment” on some or all of your orders? We can run credit cards prior to shipping–with the money being deposited directly into your account. We have volume discounts with many of our shippers (UPS, FEDEX, and LTL freight) and packaging suppliers which means lower shipping costs for you–and your customers. Do you do trade shows? Let us store your trade show booth and materials between shows. ARE HIGH SHIPPING COSTS HURTING YOUR BUSINESS IN THE WESTERN UNITED STATES? If you have customers in the Western United States, you need American Warehouse Services as your logistics partner in Salt Lake City! Utah is consistently rated as the #1 place in America to own and operate a business. Our pro-business environment—including low tax rates, low labor costs, and over-all high business efficiency—creates a highly productive place to do business at an over-all lower cost. What this means for you, as a logistics manager or business owner, is that our costs of doing business are lower in Utah than in other parts of the country. That means our storage and fulfillment costs–are lower…and those savings, we can pass on to you. Salt Lake City’s unique geographic location has made it the #1 distribution center for the entire Western United States. Freight moving across the western United States—by rail and by truck—at some point will most likely pass through Salt Lake City. That means, whether it it coming in from one of the Pacific Coast Ports (Seattle, Portland, Long Beach)–or from east of the Mississippi, from the Gulf, down from Western Canada, or up from Mexico–it will pass through Salt Lake City. With all the freight coming in and going out, means we have very, very competitive shipping rates to all areas in the West. And that includes small packages rates with UPS and FEDEX.